I LOVE SUPER BOWL MONDAY. IT’S MY LITTLE TRADITION I HAVE WITH A FEW FRIENDS WHERE WE TAKE THE DAY OFF AND ENJOY AMERICAN WINGS AND BEERS WHILST WATCHING A GAME WE DON’T REALLY UNDERSTAND OR CARE ABOUT TOO MUCH! BUT THIS YEAR, MY SUPER BOWL WAS RUDELY INTERRUPTED BY THE RELEASE OF THE FINAL REPORT FROM COMMISSIONER HAYNE ON THE ROYAL COMMISSION. WHAT WAS MEANT TO BE A REVIEW INTO MISCONDUCT OF THE FINANCIAL SERVICES SECTOR, PARTICULARLY IN THE BANKING, INSTEAD TURNED OUT TO BE STRATEGY TO SHUT DOWN THE MORTGAGE BROKER INDUSTRY. The report included 76 recommendations, but the two which have grabbed the majority of public opinion have been the ones relating to broker remuneration. Considered ‘conflicting remuneration’, Commissioner Hayne’s opinion was that if a broker is paid by a lender, they cannot truly represent the client’s best interests. In addition, he noted that if a broker is incentivised based on the loan amount, brokers will look to place their clients into lenders who can provide the highest loan amount and who pay the highest commission. What was also interesting is that Commissioner Hayne justified his stance on broker remuneration based on the potential future treat this remuneration model places on consumers. As opposed to an existing and widespread problem, justified by data and anecdotal evidence. Truth be told, I wish there was a lender who could pay me 2% and yeah, I probably would give them a lot of consideration, but there’s not and I don’t (that is my attempt of humour in case you didn’t pick it up!). In relation to the loan amount, determining this figure has always been a discussion with the client first and getting their feedback on servicing the loan before even submitting to a lender. It’s then the lender who makes the final decision on approving the loan amount, to which they apply a number of stress factors to ensure the amount of credit provided is conservative. I welcome the evidence, confirming that loans originated from brokers have shown a higher rate of default compared to loans approved in the retail network. Commissioner Hayne has suggested a move to an industry where the consumer pays a fee to a broker for their advice. He pointed towards the current model used in the Netherlands as an example of how this works well. 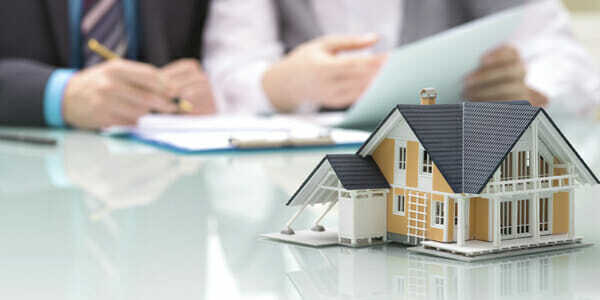 A country where all interest and fees for a home loan are tax deductible and there is consistency across the board, whereby it wouldn’t matter if a customer went to a bank or a broker, they pay the same fee. We know none of this would apply in Australia. Realistically, as much as you all love me and this company, if I were to charge you $5,000 for my advice, yet you could walk into a CBA branch for the same service, it’s clear what decision you’d make. Even if somehow legislation was passed to have parity between banks and brokers, how does this serve the Australian community to have to pay a fee to receive home loan advice, when it’s currently a free service? This is the fear that my industry has for the future of home loans. One of the reasons why interest rates across the board are so low is because of the broker channel and the many smaller lenders that rely solely on broker originated loans to drive competition. Eliminating the broker channel would cause all lenders (except the big 4, who have an existing branch channel) to have to change their model drastically. Faced with having to open branches and incur significant wage costs, many smaller lenders would have to shut down or would probably become absorbed by the big 4. The other benefit that brokers and smaller lenders have brought to the market is the ability to provide niche offerings, in particular solutions for small businesses, which would fall to the waste side if this channel is no longer available. In any event, how does Commission Hayne think that bankers are incentivised? Simply replace commissions with bonuses! Bankers are encouraged to write the highest amount of loans possible in order to receive the bonuses by the bank i.e. same end result as brokers! Thankfully, the treasurer’s response to the royal commission’s recommendations was a measured one. Josh Frydenberg, whilst supporting the commissioner’s recommendation to drop trail commissions by 1st July 2020 did not support the removal of upfront commission. Instead, he has suggested keeping upfront commissions and reviewing the impact this has on the market in three years. I do think keeping upfront commissions and increasing them to compensate for the loss of trail commissions would simply be an adjustment for the industry. The reality is the average loan lasts around 4 – 5 years anyway so trail commission does not represent the problem that Commissioner Hayne is suggesting. People are quick to forget that the mortgage broking industry started with only upfront commissions and trail was brought in to stop churn between lenders. History tends to repeat itself so I can’t help but think that in three years time, we will simply revert back to the current model, to which both ASIC and the Productivity Commission reports saw no issues with the way in which brokers are remunerated. The one positive outcome to come out of the royal commission was the fact that no new changes to lending standards were recommended. For me, this means that the current period we’re in will be the toughest time for consumers to obtain credit. During the royal commission, how a lender assesses living expenses was a contentious topic and I expected significant changes to be recommended thereafter. However, no commentary around this was suggested as part of the commissioner’s recommendations. Perhaps the recent failed lawsuit between ASIC and Westpac surrounding its use of the Household Expenditure Measure (HEM) to confirm living expenses played a part to any future litigation off the back of Commissioner Hayne suggesting this model was not an effective measuring tool. Of course, brokers were once again thrown under the bus in respect to the commissioner’s recommendation that the law be amended to include best interest duty for mortgage brokers, putting them in the same risk category for potential lawsuits as financial planners. As per the trend of the report, no suggestions for bankers to be included under best interest duty was recommended! To say that the broker industry was shocked by the final report from the royal commission was an understatement to say the least. It has been estimated that the cost of the royal commission for the major banks about $7.4 billion. Of course these guys made back that cost, plus change within one day of the report being released, up $20 billion on Tuesday 5th February. So, what’s ahead of us? Well, we have a long road to go that is for sure. There are still 17 months before changes to broker remuneration are expected to be enforced. In that time, we have a federal election, a hell of a lot of lobbying and everything having to actually be passed into law. What I can say is that this industry, which has provided so much value for everyday Australians and now represents 60% of all loans approved, will not go away any time soon. This current state we’re in is merely just another challenge that we will face and eventually overcome. Please show your support for mortgage brokers by signing the petition the MFAA has put together, which you can find here. I’ve saved $100K now what? Information provided by Multipart Finance is general in nature and does not take into consideration your personal financial situation. It is for educational purposes only and does not constitute formal financial advice. Before acting, you should consider seeking independent personal financial advice that is tailored to your needs.